What: The Edge complete their 2018 season as they welcome Illinois Renegades to Bloomington. When: Sunday, August 12 at 12 p.m. pacific (2 p.m. central). Stream: Renegades at Edge on YouTube. Note: The Edge are playing their fifth game in a summer schedule before they are set to make a league affiliation announcement tor 2019 season. 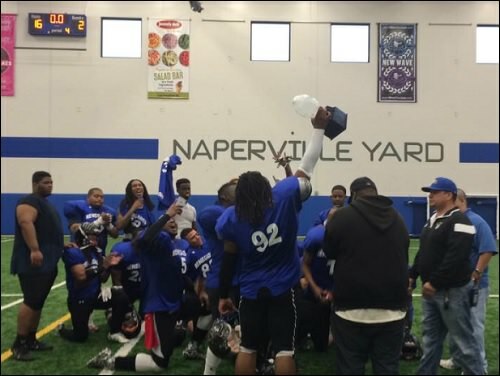 The Illinois Renegades are an indoor football team based out of the Chicago area. 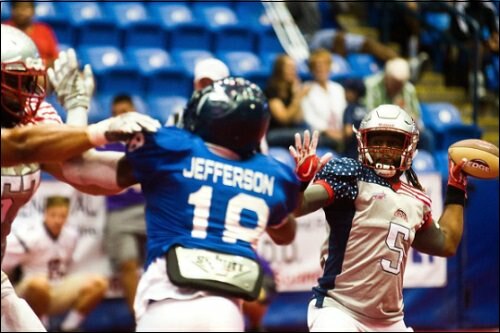 They are members of the Midwest Professional Indoor Football League (MPIF), which will enter its fourth season in 2019. The Renegades won the MPIF's inaugural championship in 2016. They took a season off to re-brand and look to play again in 2019 and an announcement on their league affiliation is expected to be forthcoming. The Midway Marauders won the MPIF championship in 2017, while the West Michigan Ironmen won it this season. The Ironmen, like the Edge, were slated to join the Indoor Football League prior to 2018, but the teams were forced to table those plans due to a legal challenge filed by their former league, Champions Indoor Football. 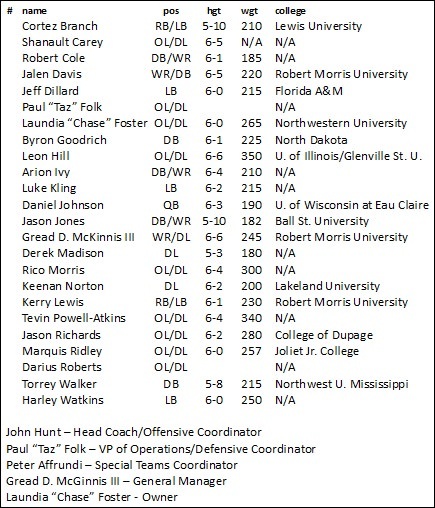 This roster was provided to SCtoC by Renegades general manager Gread D. McGinnis III. Numbers are not included as they were changing during the days leading up to the game. The Edge Embark on their 2018 season finale in this game against the Renegades. The Edge, who were denied entry into the Indoor Football League due to a legal challenge from Champions Indoor Football, look to complete a dominant summer season in which they have outscored opponents by an average of 48 points per game. The Edge are averaging 62.0 points per game this summer, while allowing just 14.0 points per game. Edge quarterback QuinTon Fonville has been excellent all season. He amassed eight touchdowns in Bloomington's win 78-18 win over the New England Bobcats on July 28. Fonville passed for threw for six touchdowns and ran for two others in the win. Dwian White and Diron Simmons each hauled in two touchdown passes. The Edge defense got into the act as well, as Jeremiah Mitchell had two interceptions, including a 46-yard return of his second pick in the final minute to cap the scoring for the Edge. Safety David Alvarez also had two interceptions against the Bobcats Linebacker Mitch Globe has been spectular on the defensive side of the ball this summer, and had eight total tackles and a sack. Stalwart defensive linemen Brad Wolf and David Powell also each recorded a sack. Bloomington is promoting this game as Grandparents' Day. I'm looking forward to an interesting game, hopefully competitive. We're currently working on finding out if this game is indeed on YouTube. The Edge don't have a stream link up yet. We'll follow as best we can with updates from the game. I'm checking too. 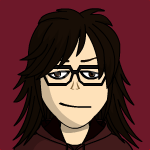 I don't see it yet. It's there now. Right at the top of the home page. Looks like a decent crowd for some Sunday football. Edge win the toss and defer. They will kick off to start the game and will receive the ball at the beginning of the second half. 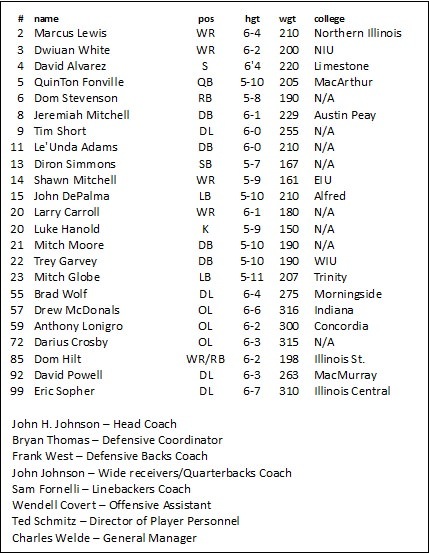 He's listed as a DB/WR on the roster, but it is Robert Cole playing quarterback for the Renegades. Touchdown Edge. Marcus Lewis 9 yard pass from QuinTon Fonville. Luke Hanold kick failed. Edge attempt the onside kick, which they recover. Jeremiah Mitchell on the recovery. Edge ball at their own 15. Touchdown Edge. Marcus Lewis 23 yard pass from QuinTon Fonville. Luke Hanold kick failed. Beautiful TD pass from Finville to Lewis for the touchdown. Omg, Kasey's YouTube chat is showing up on the feed!